HMD’s October 4 event brought us the Nokia 7.1 (not Plus). There’s another event upcoming (on October 11), which we initially thought was just the local launch of the same phone, but Juho Sarvikas is hinting at new product announcements. He should know, he’s HMD’s Chief Product Officer. 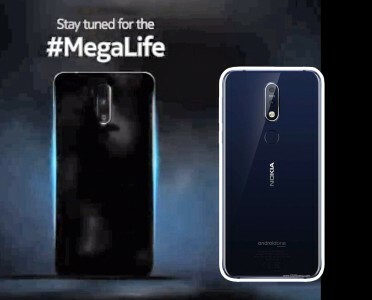 His tweet is in response to a Nokia Mobile India tweet (the event on the 11th will be held in India), which has the tags #MegaLife and #GoBigGetBetter. The video shows a glimpse of a phone at the end, we tried brightening it up. We also added the Nokia 7.1 (the one with the white outline) to compare the design, it’s pretty much the same. So, what do you think? Is this the Nokia 7.1 Plus? It doesn’t seem to be, the dual camera would have looked smaller on the larger model. And the Nokia 7.1 (non-Plus) is not up on Nokia India’s site yet, making it even more likely that this is a local launch of that phone. That said, the 7.1 Plus has been doing the rounds at various certification authorities and is rumored to be going on sale soon (as the Nokia X7 is China).